Camp Scratch consists of 103 acres of forest and pasture in the hills overlooking the Yamhill River Valley near Sheridan, Oregon. Hal and Elin Hagglund first moved to the property in 1980. Since that time they have hand planted thousands of seedlings, converting brushy areas to forest. The woodlands are managed for clean water, healthy soils, and wildlife habitat as well as sustainable timber production. 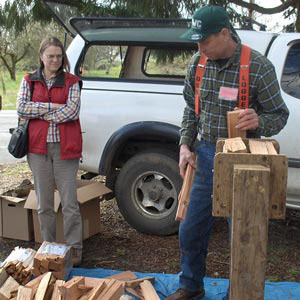 Firewood is produced from trees that have been thinned to maintain a healthy forest. They also harvest evergreen boughs from a variety of species, including coastal redwood, cedar and fir.